If you or any member of your party have any disabilities, we will make all the necessary arrangements to ensure that your holiday runs smoothly. We request that you specify this information at the outset. What if my flight is delayed when arriving in Sri Lanka? Given that we have your flight details, we will monitor your flight. We will and ensure that you are met at the Airport upon your arrival. If your flight is significantly delayed in Sri Lanka for some unforeseen reason, it will be taken care by the airline and/or covered by your travel insurance. Airlines usually provide accommodation during long delays. How do I work with Tropical Lanka Getaways regarding my itinerary planning and subsequent booking of my holiday? Following your inquiry, Tropical Lanka Getaways will provide you with an initial itinerary proposal within 3 working days consistent with your specific requirements such as budget, timeframes and interests. This proposal would include accommodation and transportation. On receipt of your proposal, you could modify any aspect of your trip with us until you are satisfied that you are getting exactly what you are looking for. Once you have reviewed your final proposal and are happy with your holiday details, you will be requested to finalise your booking by making 25% payment to Tropical Lanka Getaways within 3 working days and balance 60 days prior to commencing tour (depending how much in advance you are booking your holiday). You will also require to agree to our terms and conditions. Once the payments have been completed, you will receive confirmation of your tour with relevant details. e. We will also provide you with vouchers for accommodation, tours, transportation etc to be presented at your holiday destination and other service providers as appropriate. How much can Tropical Lanka Getaways personalise or tailor-make my trip? We are happy to give you the opportunity to personalise practically every aspect of your trip from start to finish. This includes the duration in different destinations; whether or not you would like a guide and/or driver; your mode of transport (car, van); your accommodation type (standard or luxury); your on-site activities, and how many free days you would like within the itinerary. Please discuss your requirements with us so that we can provide you with the best options within your budget. If you would like to modify any details of your trip, please contact Tropical Lanka Getaways to make the necessary changes. What documents do I need to send Tropical Lanka Getaways to finalise my booking? Once you confirm your tour arrangements and are happy to go ahead with your trip you will be required to finalise payments. You may be asked to provide us a photocopy of your passport(s) and your Flight Details. How far in advance do I need to book my tailor-made trip? Our travellers tend to start planning their trips with us around 3 months in advance. However, depending on seasonality and availability, we can plan your holiday with much shorter notice. In any case, make sure you factor in enough time to make your holiday plans so you do not find yourself restricted with availability of accommodation of your choice. Popular choices can sometimes be booked up during peak seasons. Please feel free to contact Tropical Lanka Getaways even if you are looking for a last-minute trip as we may be able to book at very short notice. If you experience any problems during your trip, you can contact our Partner Ground Operator in your destination. We will provide you with the specific contacts once your trip is finalised. What are the standard tipping practices? As a general guideline, around Rs 100 ($1 AUD) is the minimum expectation. Is English widely spoken in Sri Lanka? Most people in Colombo and in other main cities can understand and speak English. Staff in most five-star hotels may speak other languages such as German and French in addition. Your Guide/Driver and hotel staff will be able to assist in translating if required. What is the local currency in Sri Lanka? Local currency is Sri Lankan rupees. Please click here to check the current exchange rate. What kind of clothing should I wear in Sri Lanka? Sri Lanka in general is quite humid and temperatures range from 27c – 36c depending on seasonality. Light coloured cotton garments are recommended. Cooler temperatures of around 10c -15c in the hill country require light cardigans. 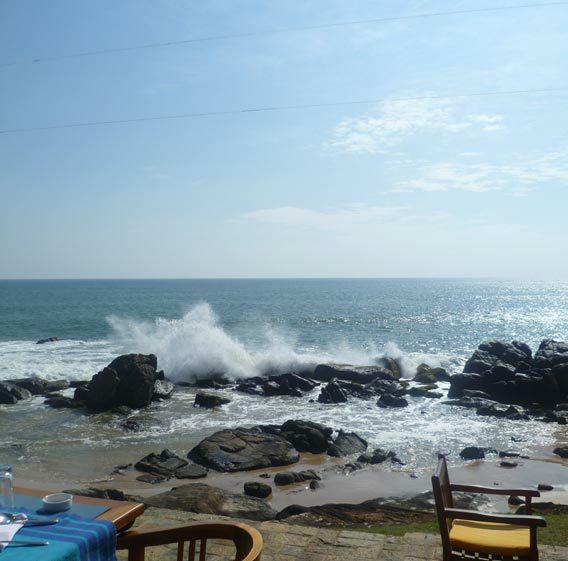 Why chose ‘Tropical Lanka Getaways’ to organise your holiday? Your trip is organised by professional experts working tirelessly both in Australia and at your holiday destination. Our staff at both ends have years of experience in the industry and extensive knowledge of the specific holiday destination. Tropical Lanka Getaways specialise in Tailor-made tours to satisfy every interest, budget, and timeframes and specific requirements of clients. We will make every effort to personalise all aspects of your trip. You benefit from competitive prices. Tropical Lanka Getaways will take all steps to ensure that your trip will run as smoothly and safely as possible from start to finish. Is Sri Lanka a Family-Friendly Destination? Yes, all Australian, New Zealand and British passport holders require to obtain an entry authority to visit Sri Lanka. Please visit http://www.eta.gov.lk/slvisa/ to complete your application online. Current fee is US$30 for applying online and US$35 for applying on arrival. Following approval of your entry authority, you will receive a notification online. Please Note: While the maximum duration for an initial tourist entry authority for Sri Lanka is 30 days, you could apply for an extension should you wish to stay longer. Please consult your Sri Lankan consulate for further information. Can Tropical Lanka Getaways assist me in obtaining visas? Unfortunately, we are not able make a visa application on your behalf. Do I need to get any vaccinations prior to travelling to Sri Lanka? Please consult your Medical Practitioner or Travel Medical Specialist to be informed about the necessary vaccinations prior to travelling to Sri Lanka. Yes, we recommend that you take out travel insurance before setting off on your trip. This will become extremely useful in case of health emergencies and cancellation of trip due to unforeseen circumstances.